Best Mold Removal Products | Gold Eagle Co. If you suspect there’s mold in your home or boat, you need to work quickly to identify and remove it. That’s because mold can lead to health problems that could range from constant coughing and stuffy nose to serious lung infections, especially in people who have allergies or asthma. So how do you know if you have mold in your home or boat, and if you do, which mold removal products work best? Here’s what you need to know before you pick the best mold remover. First, you need to know what mold is and how you can detect it. Mold is a type of fungus that thrives in moisture, so it’s often found in areas that are prone to getting wet or humid. This usually includes bathrooms, kitchens, and basements. But if other rooms of your home have flooded, mold may be found there, too. And of course, your boat is the perfect candidate for mold since it’s constantly around water. Note that mold tends to grow the most in early spring and late fall, and it often smells musty. It can range in color, with white, gray, brown, green, and black being the most common shades of mold. So if you see any of these colors on your walls, floors, or marine seat cushions, it’s time to find the best mold remover as soon as possible so you can stop the mold from spreading. 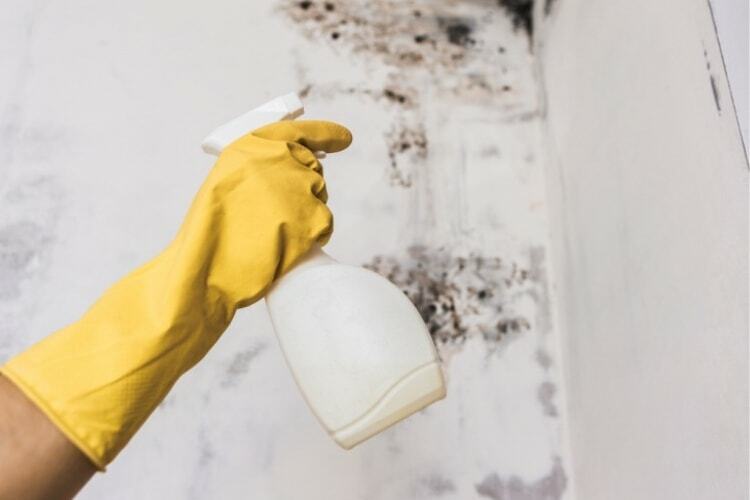 The best mold remover is strong enough to remove mold quickly—before it spreads or continues to make you feel sick—without leaving behind an overwhelming odor of chemicals. Basically, it should be powerful enough to do the job right while still being safe to use in your home or vehicle. Additionally, the best mold removal products can even prevent mold stains from showing up again. This will save you some time and hassle in the future, so it’s worth it to look for the best mold remover that can both remove and prevent mold in your home or boat. One of the top mold removal products on the market is 303 Mold & Mildew Cleaner+Blocker. This formula was created to remove mold and mildew stains from just about any water-safe surface. It won’t just get rid of the mold; it will also prevent it from occurring again! And since it doesn’t contain bleach, it won’t leave behind any residue or strong odors, so it’s safe to use in any room of the house or any part of the boat. 303 Mold & Mildew Cleaner+Blocker is among the top mold stain removal products available, but if you want even more help removing mold stains, you can buy the 303 Fabric Mold and Mildew Cleaning Pack. It contains a bottle of the 303 Mold & Mildew Cleaner+Blocker, plus 303 Fabric Guard and 303 Ultra Plush Microfiber Towels. The fabric guard is perfect for preventing mold from reappearing on soft materials, such as rugs, leather or boat seats made of just about any material. It will help the fabric repel water to prevent mold and mildew, and the microfiber towels make the solution easy to apply on your boat or in your home. Whether you’re worried about mold on your boat or in your home, the right mold stain removal products have got you covered. The best mold stain removers not only get rid of the mold fast, but also prevent it from growing again, so give them a try as soon as you suspect you have a mold problem.